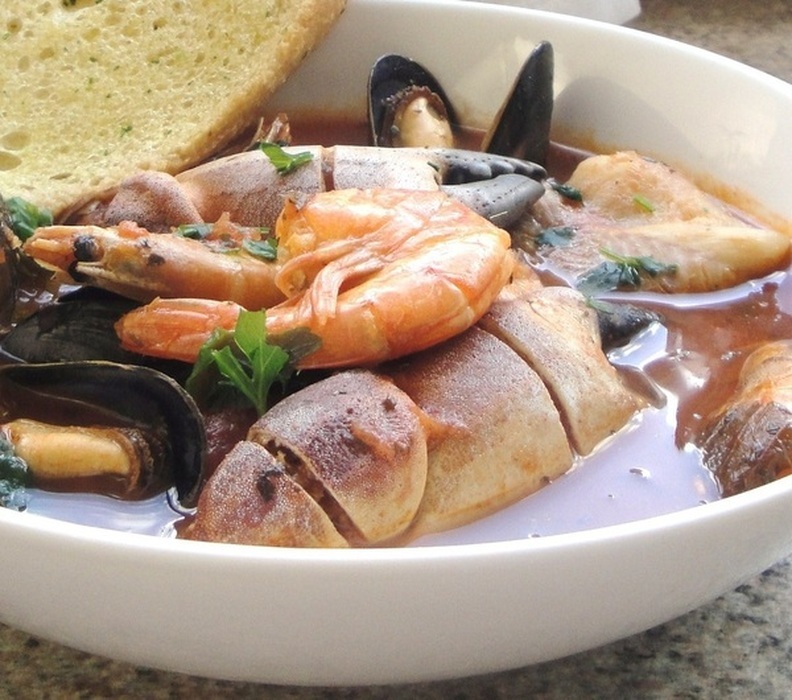 A Native dish of San Francisco, Cioppino is allegedly an Italian American dish. Some Italians dispute this fact, but there are dishes in Italy that strongly resemble this dish. Cioppino is one of my favorite dishes of All Time. As soon as I knew of its existence I wanted to try it. It's a dish that certainly ranks in my top 20. 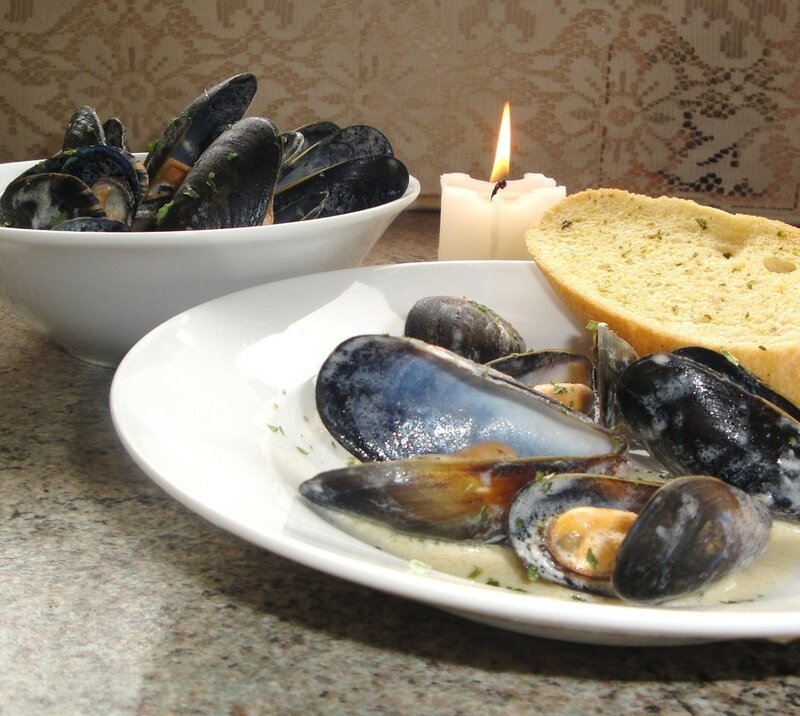 If you love shellfish such as mussels, clams and crabs. Then you will almost definitely love Cioppino. 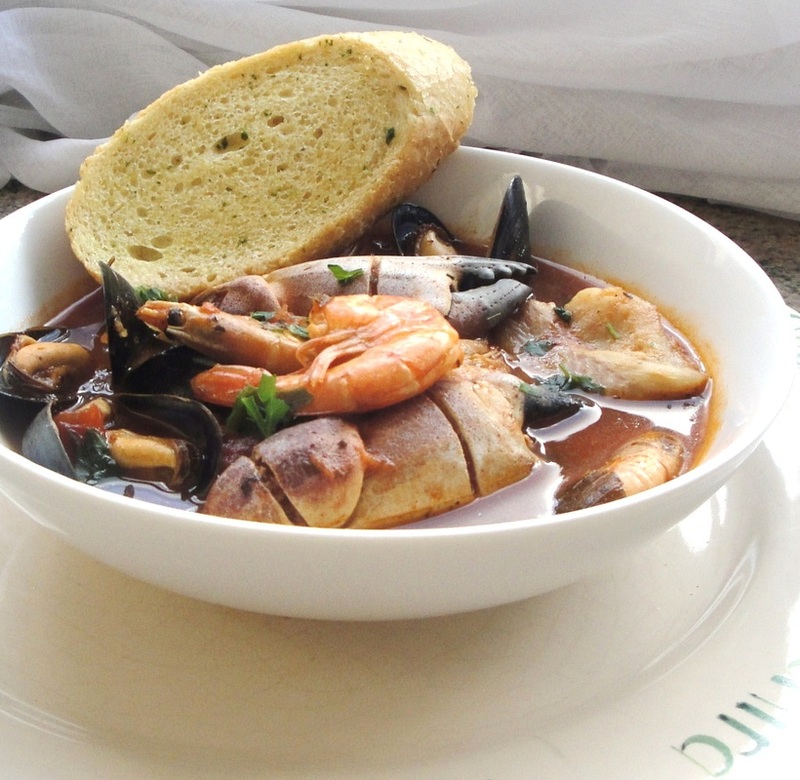 Cioppino by definition is a seafood or fish stew, cooked in a delicious tomato-wine broth. 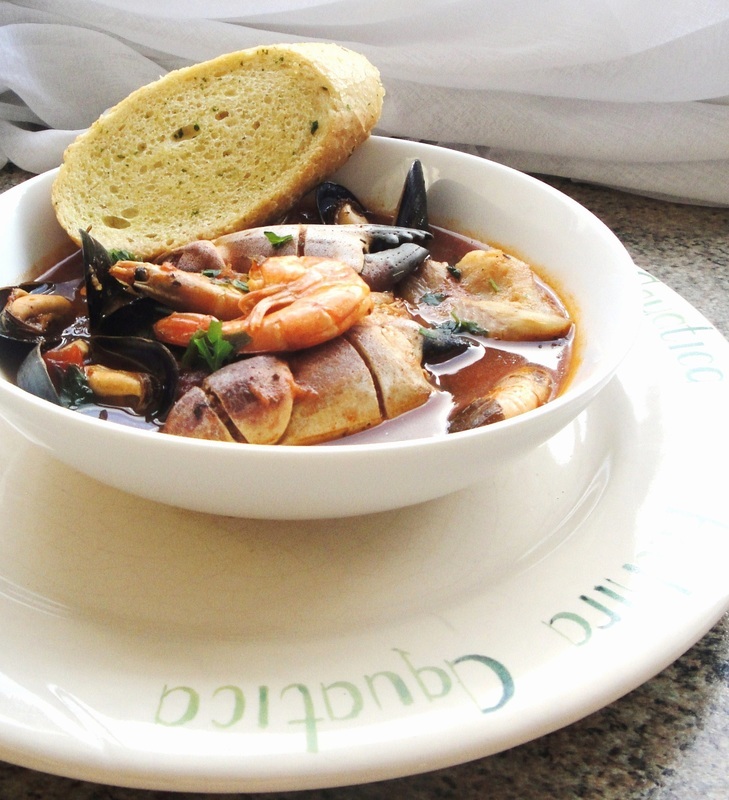 Eating Cioppino is only half the fun, if you do not have a few slices of delicious rustic bread to accompany it. My choice is garlic bread, but you can eat Cioppino with any bread of your choice. A French baguette, sourdough bread, or any good Italian bread. You dip the bread in the sauce and take a mouthwatering bite. It's a great holiday celebration meal. But I think it's perfect for any time of the year. 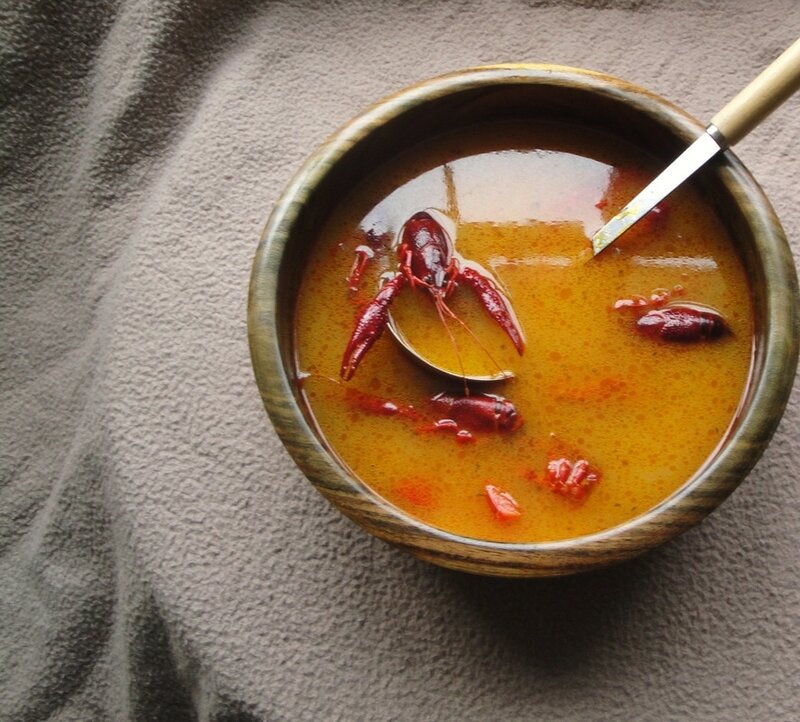 Ideally you would make this with Dungeness Crab. I like a nice hearty Cioppino, packed with lots of seafood, and enough broth to have me spooning the stew long enough to feel as if I've had a substantial meal. And for me, Cioppino isn't Cioppino if it doesn't have at least one type of white fish, shrimp or prawns, mussels and/or clams, and of course crab. Lobster meat is also a nice bonus, as I love Lobster even more than I love delicious crabs. Here is my recipe for Cioppino. 12 shrimp shells, 1 bunch of fresh Parsley. You can add salt to the shellfish stock, but I don't, as the salt will be added once strained into the tomato broth. Bring to a boil in a large pot, and then turn to a low simmer for about an hour two hours. Leave the Shellfish stock to simmer, then in a separate pot begin with your tomato wine base. Bring all the ingredients to a boil for about ten minutes, and then turn down to a low and slow simmer for about an hour. Afterwards strain shellfish stock into Tomato Wine-Base. Stir and check for seasoning, add salt to your taste. In a separate pan add half a cup of white wine, and 1 tablespoon of vegetable oil, heat on low to medium flame for about five to eight minutes. Then add 4 tablespoons of Garlic Butter Oil and saute the garlic butter for about five minutes. Add Seafood starting with crabs first, let the crabs simmer for five minutes and then add all the remaining seafood, simmer for another five minutes-approximate. 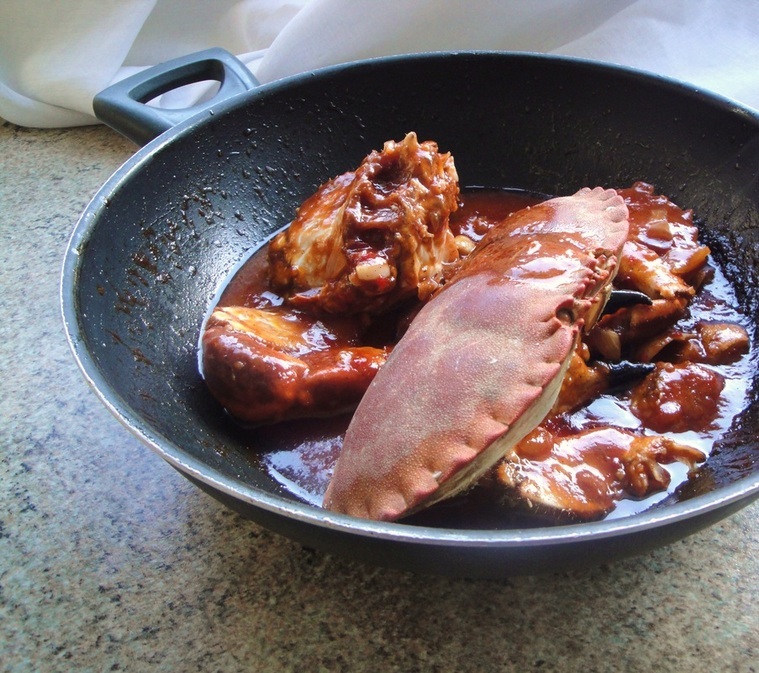 Then pour the seafood into the pot along with their juices, and simmer for another three minutes. To finish this dish add a few squeezes of lemon, it gives the Cioppino a nice zest of flavour.